Emerging Civil War is pleased to announce the addition of Daniel Welch to our line-up of regular contributors. You’ve probably been following Dan’s posts on the letters of surgeon William Child, writing home during the last months of 1864 and now into 1865. Dan serves as the Education Programs Coordinator for the Gettysburg Foundation, the non-profit partner of Gettysburg National Military Park. Previously, he was a seasonal Park Ranger at Gettysburg National Military Park for five years. During that time, he led numerous programs on the campaign and battle for school groups, families, and visitors of all ages. Most recently, Dan was a part of GNMP’s special 150th anniversary programs, as well as the annual Mid-Winter Lecture series. Every time his father or mother asked where he wanted to go for next year’s family vacation it was always the same response: Gettysburg. “My father could not even convince me while visiting Gettysburg to take side trips to Antietam or Manassas,” Dan laughs. The awkward teen years finally hit, he says, and his interest in Gettysburg, the American Civil War, and family vacations waned as interest in garage bands and girls increased. But a final family trip to Gettysburg two weeks before he started college at Youngstown State brought that passion back with a fervor. “Here I was, a month into starting my career in college and on the path to becoming a music teacher and in between class and all other hours of the day I was reading Harry Pfanz and John Pullen,” he says. That was only the start. Soon, he attended Gettysburg College, interned at Gettysburg National Military Park, became a Park Ranger, and am now employed by the Gettysburg Foundation. “Living and working in Gettysburg is surreal,” Dan admits. “My commute every morning takes me past the Soldiers’ National Cemetery, where more than 3,300 soldiers who died as a result of the battle are buried and the site of President Lincoln’s Address. My office is on the second floor of the Visitor Center. In just moments, I can walk through a world-class museum, step into the park’s unparalleled research library, or schedule access to some of its extensive artifact collections. I am also just yards away from some of the most hallowed ground in our nation’s history. “Even more than a dream, it is a privilege,” he says. 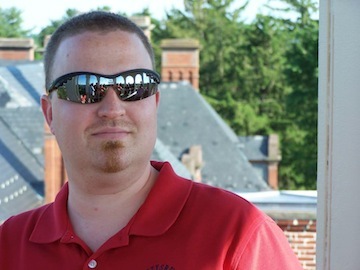 As the Education Programs Coordinator for the Gettysburg Foundation, Dan has a wide range of job responsibilities. 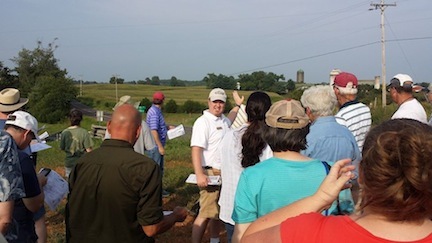 Not only does he work on traditional curriculum for K-12 education, he also develops programming for the George Spangler Farm Civil War Field Hospital Site, he programs and manages the annual Sacred Trust lectures, and he engages in all aspects of the Education 150 Initiative. For a full look at his bio, check out his author page. This entry was posted in Emerging Civil War and tagged Dan Welch, Gettysburg Foundation. Bookmark the permalink. When Dr. William Child was working in the Smoketown Hospital at Antietam he wrote to his wife: “it is a well-organized army hospital as I have never experienced before. The surgeon who is in charge here is a German who served in European armies – he is a perfect gentleman – and a skilful man”. He admired Dr Vanderkieft to even give his second son, who was born on November 28 1862, the Christian names “Bernard Vanderkieft”. Vanderkieft was not German by the way. He was born in Holland, but every German soldier was called Dutch.